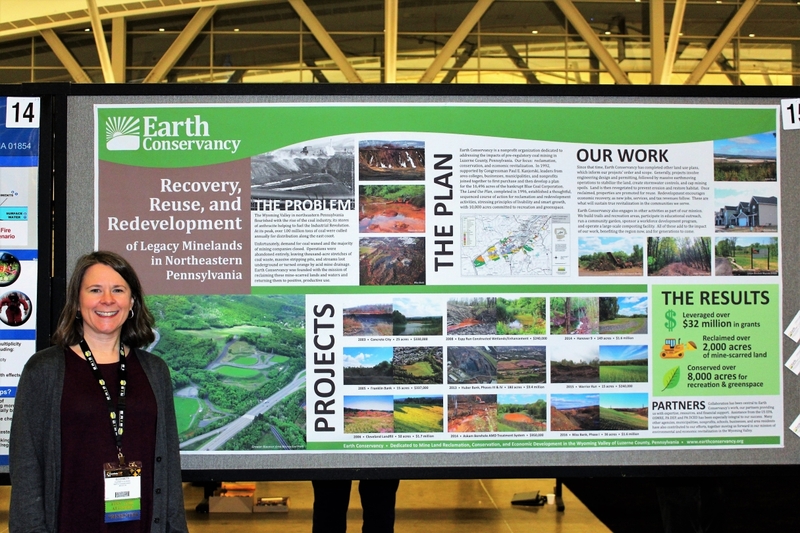 Earth Conservancy was one of 39 accepted poster presentations at the 2017 National Brownfields Conference in Pittsburgh, PA. Held at the David L. Lawrence Convention Center, the conference featured a roster of speakers, workshops, and events over the course of three days covering brownfields revitalization around the country and the world. It was a great opportunity to share the work EC has been doing here in northeastern Pennsylvania with so many invested in land recovery and reuse. 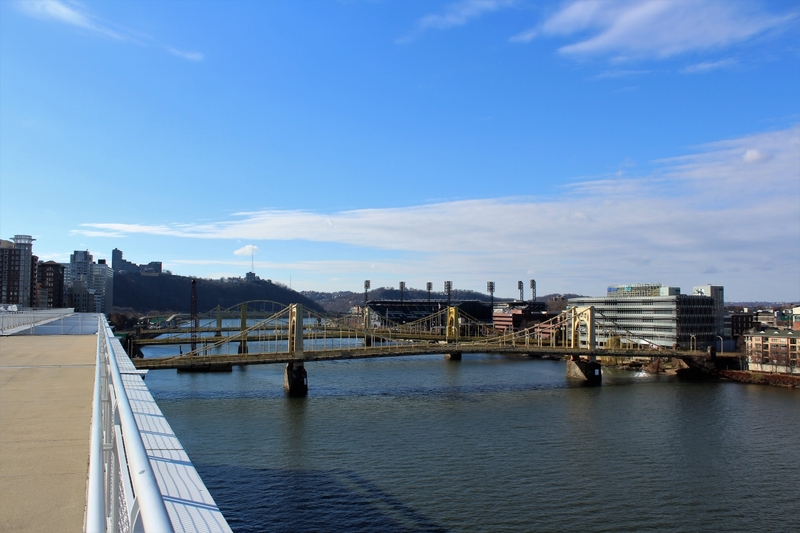 Pictured below: Left: Dr. Elizabeth W. Hughes stands in front of EC’s poster presentation; Right: View looking west along the Allegheny River, towards Heinz Field from the roof of the Convention Center.